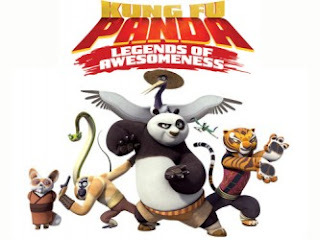 Kung Fu Panda: Legends of Awesomeness tells the continuing adventures of Po as he trains, protects, fights, teaches, learns, stumbles, talks too much, and geeks out as the newest hero in the Valley of Peace. Now living in the barracks with the Furious Five, Po will have to take on his many new responsibilities, his many new adversaries, and his many old pounds in the continuing adventures of the Dragon Warrior. And kick some serious boo-tay.